Increases circulation, detoxifies, and replenishes the skin. Containing a unique blend of Acacia and Honey combined with hydrating extracts of Samphire, Orange and Bergamot to moisturise and enrich for soft and supple skin. This nourishing mask delivers an intense hydration boost. It is excellent for dull, dry and dehydrated skin. Apply the mask twice a week to lift the skin and nourish the epidermis. 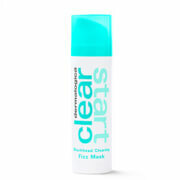 Apply the mask generously over cleansed skin, including the neck area. Leave for 15 minutes and rinse with warm water. For best results follow with your Elemis Moisturiser. For a deeper treatment, you can leave mask on overnight. Can also be used on dry skin patches. For example hands, feet, elbows and knees. 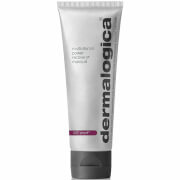 Perfect to revitalize sensitive or dehydrated skin. Water (Aqua), Stearic Acid, Glycerin, Butyl Stearate, Simmondsia Chinensis (Jojoba) Seed Oil, Ceteareth-12, Propylene Glycol, Titanium Dioxide, Cetearyl Ethylhexanoate, Cetyl Alcohol, Helianthus Annuus (Sunflower) Seed Oil, Malva Sylvestris (Mallow) Flower/Leaf/Stem Extract, Crithmum Maritimum Extract, Echinacea Purpurea Extract, Citrus Nobilis (Mandarin orange) Peel Oil, Citrus Aurantium Bergamia (Bergamot) Fruit Oil, Ascorbyl Palmitate, Citrus Aurantium Amara (Bitter orange) Oil, Honey (Mel) Extract, Acacia Decurrens Extract, Lecithin, Xanthan Gum, Diazolidinyl Urea, Sodium Hydroxide, Ethoxydiglycol, Isopropyl Myristate, Ascorbyl Palmitate, Tocopheryl Acetate, Red 4 (CI 14700), Tocopherol, Fragrance (Parfum), Methylparaben, Propylparaben, Disodium EDTA, Polyacrylamide, Dichlorobenzyl Alcohol, C13-14 Isoparaffin, Laureth-7, Limonene, Linalool, Hexyl Cinnamal, Citral. Warm 3-4 pumps into the palms and apply onto a cleansed face and neck, leaving it on for 10 minutes. Rinse off with warm water and follow with moisturiser. For a more intensive treatment, you can leave the mask on overnight. Aqua/Water/Eau, Glycerin, Butyl Stearate, Simmondsia Chinensis (Jojoba) Seed Oil, Ceteareth-12, Palmitic Acid, Stearic Acid, Propylene Glycol, Titanium Dioxide, Cetearyl Ethylhexanoate, Cetyl Alcohol, Ethoxydiglycol, Helianthus Annuus (Sunflower) Seed Oil, Xanthan Gum, Lecithin, Diazolidinyl Urea, Polyacrylamide, Limonene, Fragrance (Parfum), Isopropyl Myristate, Citrus Aurantium Amara (Bitter Orange) Oil, Dichlorobenzyl Alcohol, C13-14 Isoparaffin, Methylparaben, Linalool, Citrus Aurantium Bergamia (Bergamot) Fruit Oil, Citrus Nobilis (Mandarin Orange) Peel Oil, Disodium EDTA, Crithmum Maritimum Extract, Laureth-7, Malva Sylvestris (Mallow) Flower/Leaf/Stem Extract, Sodium Hydroxide, Propylparaben, Ascorbyl Palmitate, Honey (Mel) Extract, Echinacea Purpurea Extract, Hexyl Cinnamal, Citral, Acacia Decurrens Extract, Tocopheryl Acetate, Geraniol, Farnesol, Citronellol, Tocopherol, Coumarin, Red 4 (CI 14700)..